Portugal celebrates Liberty Day on April 25th. It’s a national holiday marking the military coup of 1974 that brought democracy and civil liberties to the Portuguese. Liberty Day begins at dawn when the President, Marcelo Rebelo de Sousa, and Prime Minister, António Luís Santos da Costa, meet to officially start celebrations. In the Portuguese Parliament, a solemn session is held with “interventions from all the political parties and their representatives, followed by a speech from the Parliament President“. Then the Republic’s President delivers a speech. Tonight, there’s a musical celebration in the park across the street from my apartment. The musicians are quite good and have a 1960s folk music sound – like The Kingston Trio or Peter Paul & Mary – if anyone remembers them…. There are also some female Fado singers. All songs are in Portuguese. 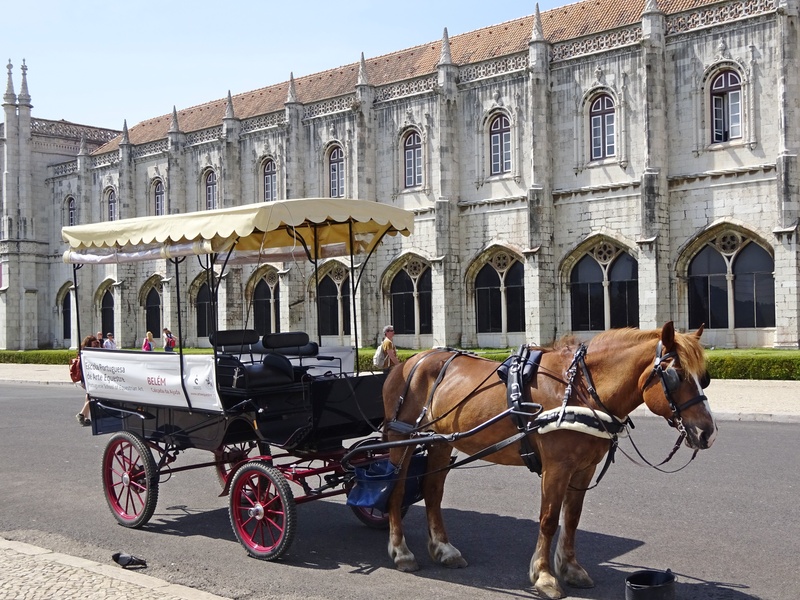 I had an interesting outing in Belem earlier today. 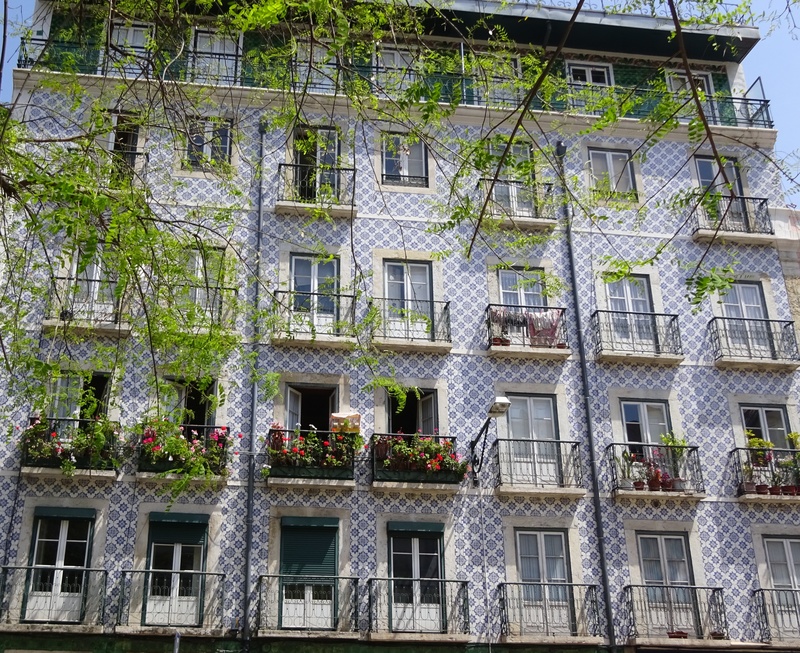 It’s the more modern part of Lisbon. It was a little too far to walk – about 5 miles each way – so I took the tram one way and the bus back. Using public transportation turned into a long, drawn-out process. I’m not sure how the journey could have been shorter as every vehicle on the road came to a screeching halt in the gridlock, and the subway didn’t reach my destination. Despite the long uncomfortable wait, glad I spent time in Belem. Some miscellaneous photos from the day are attached. I’m leaving Lisbon tomorrow morning for 5 days in the Azores. More posts later…. 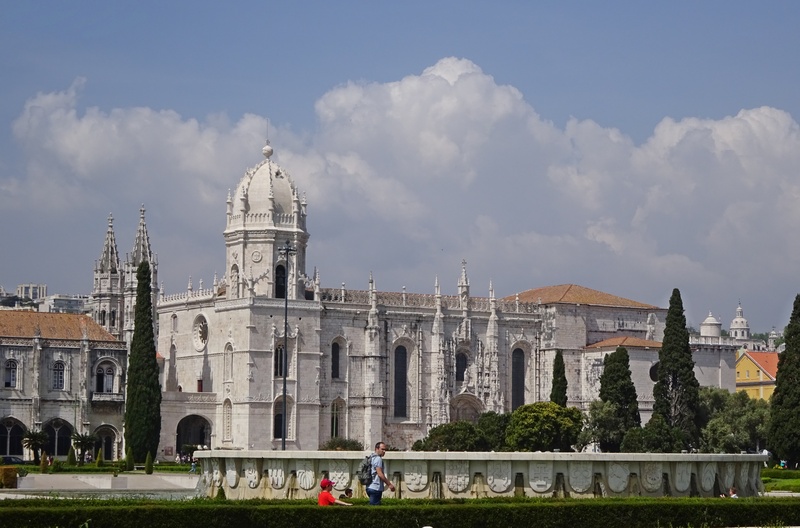 This entry was posted in Lisbon, Portugal and tagged 25th April - Liberty Day in Portugal, Belem, Fado Singers, Liberty Day in Portugal, Portuguese Parliament President, President Marcelo Rebelo de Sousa, Prime Minister António Luís Santos da Costa by suemtravels. Bookmark the permalink. All of the photos are great but I particularly love that photo of the accordionist. Enjoy the next part of the trip. Yes, humans like photos of humans but when traveling solo, photos are a little tricky – both taking others and getting ones of yourself taken. Sometimes people in day trip groups I join ask if I want them to take a photo of me – that’s nice. When it comes to just taking shots of interesting faces – and there are TONS of them – that’s another issue. 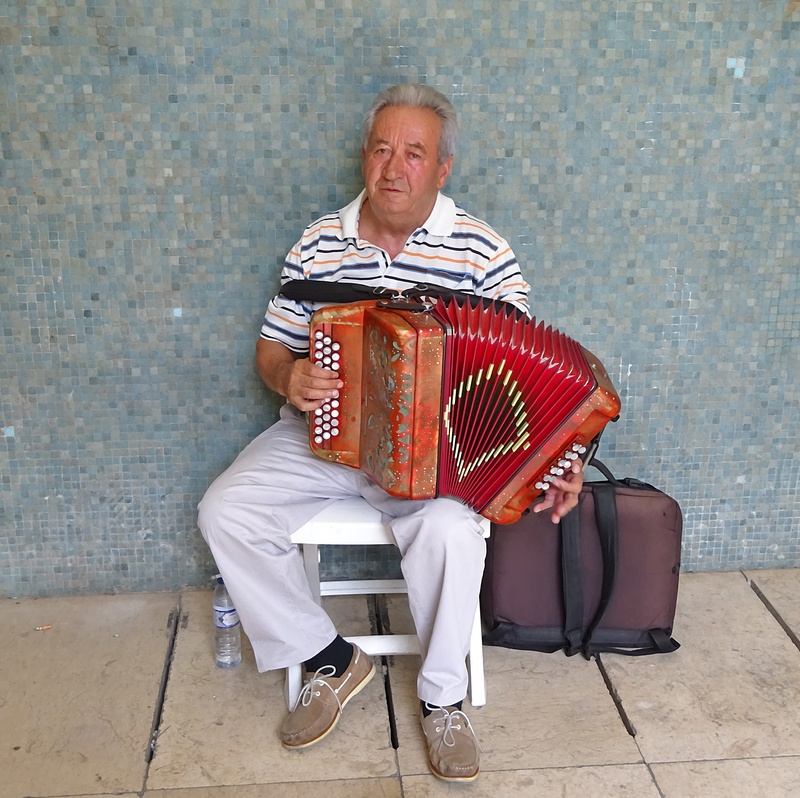 The accordion player had his hat out for donations. He’d been playing all day and was really tired. I gave him 5 Euros and got him just before he fell asleep! :o) Would love to have an entire blog post with nothing but faces, but you have to be careful. It’s best to ask first rather than have someone come after you – have had that happen and it was scary…. You are so right. I still feel very bad about taking a photo of a cute kid in China. Mum was okay, but dad came into it a bit later and wasn’t happy. These days, I won’t even post a photo of the grand kids without asking the parents first.